Cao has a special skillset with which he copies legendary violins. From the “Cremonese” strad of 1715, to the “Kochanski” Guarneri del Gesu of 1741, the greatly experienced maker has made models that replicate the tones of violins rooted in deep history. The brand mentions that, if a customer has in mind an instrument that is not on the list, Cao can form a duplicate of the buyer’s choice musical artifact. This is an incredible asset of the company, and entices much interest from violin specialists. Scott Cao’s Violins is a fantastic company, recommended and appraised by many. With such renown comes wonderful fruits, and the manufacturer makes some of the sweetest around. This article presents a list of SCV’s best violins, and gives insight into their distinct sounds and visual aspects. The STV1500 is made with high-grade, aged Bosnian maple wood, which is a light and strong type, and Italian spruce. Its fingerboard, made of “Indian ebony”, is curved at its end, adding contour and visual appeal to the instrument’s body. Its chin rest and tailpiece differ from the norm in that they are beige or light-brown, with signs of the authentic nature of the wood that they consist of. They are crisp and finely carved, with curved surfaces that satisfy the eye’s desires. The violin’s surface is splotchy, as the canvas of a modern artist, limited to three colors of the forest, might be. Its brown is mostly tan, while some spots are pale and less shaded, resulting in a toasted appearance. The f-holes are outlined by the lighter coloring, giving the look of parchment that has had ‘f’s burned prettily into it. The surface of the STV1500 is a beauty to behold, standing out from amongst competitors’ workings as a timeless, extreme-quality object. “Built, varnished, and set up in Campbell Studio”, a shop of Cao located in California, the STV1500’s sound is infused with the spirit of the West coast, and is charged with vibrant energy and uncompromised freedom. Its tone is as warm as its color, as it can instill bounty into a landscape of souls in need of inspiration. Notes burst from the strings and resonance chamber as water might from a reservoir opened by the hero of an arid land. The sounds that sing from the violin are filled with triumph, and inspire bravery and hope into even the least intent listeners. Any performer who wields the instrument is sure to be looked upon as a herald of good tidings, and many an audience member will be as enamored by the voice’s strength as by the body’s physique. Joyous amidst sorrow, fortified despite trial, and victorious in battle, the STV1500’s melody is gorgeous under any circumstance, and grants its user a powerful tool against the wiles of the enemy. An instrument so bold as that often comes with a high price, and the STV1500 makes no exception. Reasons for the steep cost include that the instrument is made by “international award-winning makers”, and that Scott Cao himself “strictly” supervises parts of the process. The violin’s sound alone is well worth the price, and its visual luster makes the object one that can stand the test of time and be passed down for generations. Compared to its STV1500 relative, the STV500 is a plainly-designed violin. It is a medium shade of brown, and its wooden streaks are embedded across the back in a simple manner. The instrument’s surface is, basically, monochromatic, and no large embellishments decorate it. As such, it functions perfectly in an orchestral or small ensemble setting, where formalities and inconspicuousness are essential. Its fingerboard is black (described as “Indian ebony”), as are its tuning pegs, tailpiece, and chin rest, which gleam with the natural reflection that only real wood can convey. The violin’s body is made with “flamed Chinese maple”, which is used in the best guitars, mandolins, and cellos, adhering to contemporary standards. Visually, the STV500 is a prime example of the today’s most formidable musical tools. Sonically, Scott Cao’s 500 violin is unimpeded by overtly fancy embellishments or overtones, though it is not bland and want of any important timbres. It is full, deep or high, and resonant, and is imbibed with the organic nature of the trees it the violin was made by. Its vibrations can synchronize with any wooden sound hall, and tree-made, wooden chairs are especially apt to reflect and resound with any pitch that comes from the instrument. Though the SV500 is “normal”, it does not shy from the crevices of avant-garde tonality and modern compositional technique. It can be used to replicate the sounds of sprites and of echoing halls of boisterous war-winners, and can conjure images of a witch’s spell-cracked hands or the shivers from Death’s breath. An all-around instrument that is as diverse as it is regular, the SV500 can satisfy most needs that even an advanced student might have. The STV500 is a wonderful instrument is a wonderful tool for young violinists and college students alike. Not recommended for professional soloists, it is a “regular-old” instrument and might not embody the glamour that other instruments might be filled with. 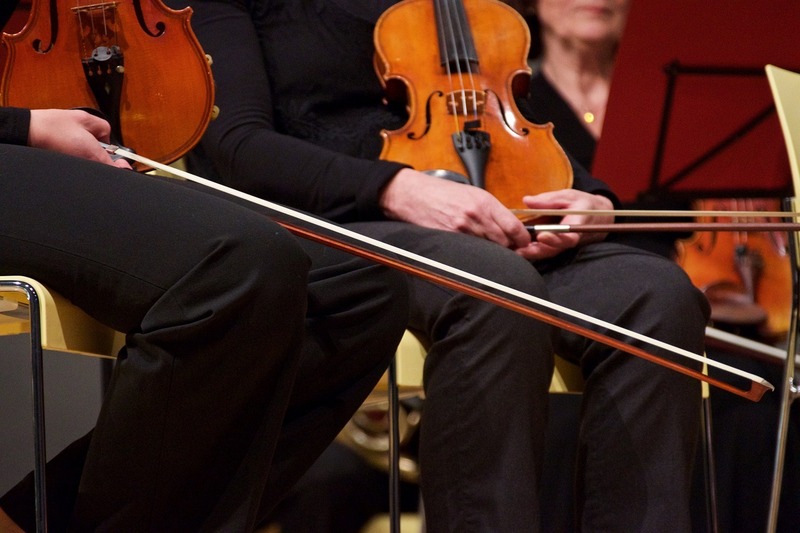 As was mentioned, the violin is a happy orchestral instrument, and its appearance fits right in with bodies seen in most nominal string groups. More refined than factory-made violins and beginner outfits, its quality is respectably higher than that of violins made without much care. However, the instrument is not, nor does the company claim it to be, one of creative magnificence or extensive innovation. It is a humble, durable, and superb-sounding piece of equipment, and it sells for the price that is akin to its quality. The SV500 is a great graduation gift, and is especially useful for the student who wants to get on his or her teacher’s good side. It will not disappoint, and it is sure to last for many years. Scott Cao’s STV-017E is a testament to human capability and the potential of willpower. Its back is made with a maple that is hand-carved with streaks across its light-brown, yellow hue. Its skin looks almost like that of a tiger, while its reflectivity makes it appear as though it has just returned from a sweaty outdoor activity. The instrument has a prowess that is impressive, and a personality that is humble. It has an intriguing body, and masks exceptional ability behind its handsome features. The STV-017E contains standardly colored body parts – its black tuning pegs, ebony fingerboard, dark tailpiece, and shaded chin rest make it ideal in formal concert settings, and put it in place rightly with other violins of regular build. Though its body is of a brighter tone than most stringed musical equipment is, it can blend nicely into most modern orchestras, albeit on the light end of the color spectrum. The violin’s overall bright coloring is evidence of the type of timbre its sound is. Crisply and shingly brilliant, the tone of the instrument is able to transcend the low stories of a large concert hall, reaching the nose-bleed sections with a personal air, welcoming those far away into the experience it offers. Smart and quick-witted, it can tickle a child’s ear with feline delicacy, and whisk an adult’s heart with the spirit of young love or unhindered joy. The sound is fine, and can certainly please any artist in showing that extensive care is still taken in the crafting of objects. It works best for pieces that are lighthearted and charming, such as many by W.A. Mozart or Antonio Vivaldi – high notes on the A and E strings are especially susceptible to exploitation, as pitches from them will be pronounced and given stunning characteristics. Excellent for concerto performers and studio musicians, the STV-017E is sure to bring a range of flashy new tones and clean, clear vibes to the table. According to violinpros.com, Eugène Ysaÿe, the famed Belgian “King of the Violin”, was, one day, struck by the beauty of his new student’s violin. After requesting that he borrow it, and after touring with it, he returned home, and exchanged for the instrument his Guadagnini violin, 40,000 francs, and his brother Théophile to be the owner’s husband. Years later, Scott Cao crafted a replica of the instrument, and, using his fine-tuned skills and impressive list of experiences, proved that the sounds of the 1700s were not gone with their century, and that the gorgeousness heard then can still be listened to now. The copy is an appealing crème-beige color, like that of coffee with a splash of milk, or as the sand of a soft, healthy beach is, and it evokes a certain satisfaction and slight euphoria within the chest of its viewer. This look allows the 1740 to function as a solo player’s instrument and as the equipment of a quartet member. Its maple back ensures that it is a fine piece of equipment, as its streaked nature does not fall short of that of a fence made of fresh, forested stakes; impressively carved and uniquely detailed, the surface is alluringly gorgeous, and is sure to attract any artistic eye. The Ysaÿe’s sound is as creamy and delectable as its appearance is. It is soft and thick, and it toys with the ear in the way that melted milk chocolate might toy with the tongue. Rich, warm, and pleasant, it fills listeners with delightful abundance, and caresses the heart into a young and boisterous state. The violin is filled with potential for resonance, and has a strong capacity for an organic, orchestral timbre. It is dense and ultra-present, and does not fail in consistency during sustained notes. The equipment guarantees lasting heartiness, and can stir a spirit of liberty and loving justice in anyone. The 1740 Ysaÿe is suited with an ebony fingerboard, tuning pegs that are darker than the body, and light-brown tailpiece and chin rest. 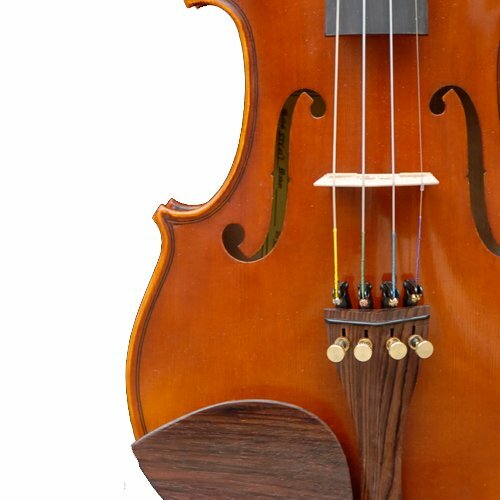 The skin tones of the violin’s components contrast incredibly with one other, and a designer would undoubtedly appreciate the visual artistry of the craftwork. The STV 950 is an orange-red shade of brown, a color that recalls autumn leaves and summer sunsets. It hints at warm undertones, and gives the same impression that an afternoon on a ranch porch might. Its flamed skin color allows it to pose as a fiddle, while its gleaming oil varnish gives it a classical concert hall aesthetic. The glistening substance is spread on by hand, by professionals in Scott Cao’s California studio. The process is monitored by Scott Cao himself, ensuring that each aspect of the instrument is incorporated with the finest care and skill. The violin’s tuning pegs are equally sunset-colored – they are unique in this respect, as classical string instruments are often installed with black pegs. However, they are discrete enough to reside amongst an orchestra with no problem. An Indian ebony fingerboard, whose wood is of quintessential sliding quality, takes the lengthiest position on the STV 950. A near-maroon tailpiece and a chin rest of the same color abide on the bottom portion of the violin, displaying their lovely wood-ring skin in a finely curved manner. They contrast well with the body; it is possible to interpret them as the colder, faded-purple section of the sunset. The STV 950’s back, made of European maple, is streaked like tiger fur, and can catch the glance of any eye, unwary or not. The appearance of the violin is rich in detail, and is as its descriptions make it out to be. It is a ravishing shelf object, as well as an incredible musical instrument for any performer. And, though it is visually special, it blends well with any company of violins, and can sit in an ensemble room without being conspicuous. The sound of the STV 950 is more romantic than is the appearance, though it provides equivalent vibrations. It is lush and warm, and refrains from piercing the ears with thin high notes and the like. It is free and tall, and can fill a room with an abundance of wonderful spirit and glorious praise. Its most noticeable asset is its fullness, and the smoothness that it delivers. Unlike many violins, it dampens tone just enough to prevent excessive treble from happening in upper strings. This is game-changing, especially during auditions, when every pitch matters, and every drop of tonality is heard and felt acutely. This distinct tenderness makes the violin ideal for pieces such as Beethoven’s Violin Concerto in D Major, Mendelsohn’s Concerto in E Minor, and Tchaikovsky’s string quartets. The tone radiates in outdoor, river-side environments in which trees are plenty, and coast-side venues, where the breeze and scents complement an amount of fair classical pieces. Romantic embellishment aside, the timbre is phenomenal, and can claim any place as its habitat with the welcoming approval of listeners. With higher quality comes higher price, and the 950 is an advocate of that rule. While the choice between a car and this instrument might prove draining, the playability and appearance of the violin will not, and its player is certain to be content with the selection. Scott Cao’s Ex-David model is pretty and meek, and it embodies the classic style of the 18th century. Its look is a vintage sort, as it is not particularly glossy, and is, dry in reflectivity. It has a near-worn look, and this adds to its old-fashioned air. The violin is light red, and there are pale marks spattered throughout its surface. It carries the look of a book that has sat in a shelf for some years and has exchanged its former brilliance with an aged, almost ancient look. This might be attractive for collectors who favor vintage instruments or replicas thereof. Because of its dated appearance, the Ex-David would pose cleverly as an asset in a shelf of historical musical items. The Ex-David’s sound is much like its visual aesthetic. When played, its notes almost seems to be coming out of speakers that are connected to a record player – a grooved, near-imperfect tone forms. This mutation is hardly a bad thing, though; as audiophiles and record-collectors know, the clear and high-fidelity sounds that a vinyl emits is powerful and much more detailed than the abridged quality that CDs and digital files produce. The unique feature gives the violin a distinct, crackly sound that will be loved by people in search of the music of the old days. The violin’s attachments are standardly colored. The tuning pegs and fingerboard are black and wooden, and the tailpiece and chin rest are ebony, and they glisten as bars of iron do. A single tuning peg is fitted into the tailpiece, and the interior is a skin-beige hue. Scott Cao violins are among the best of those made today. With a knack for crafting an authentic and brilliant sound, an intuition of clear and bright flying tones, and a reputation that exceeds even some older instrument-making companies, Scott Cao Violins is an impressive name in the industry. Its hand-working carvers are known for the precision, and Scott Cao himself has been approached by world-famous players and complemented for his artistic competence and ear for top quality. Carrying the torch of musicality boldly, Scott Cao Violins is a hallmark of its day and type, and its good quality violins will succeed time for generations to come.